African Selection offers you a Botswana lodge reservation and safari itinerary planning service. Our Safari Travel Specialists are looking forward to tailor-make your dream vacation! Simply complete the form below and one of our Botswana Safari Specialists will contact you. Get it cheaper! Being based in South Africa we contract directly with the lodges and service providers and are thus able to offer our clients cheaper packages. BOTSWANA is excellent for safaris. The scenery is extraordinary and diverse. Game-viewing is remarkable, ranking as one of the best areas for safaris in Africa in, both for wildlife enthusiasts and bird-watchers. Botswana is very suitable if you would like to get off the beaten track - away from it all. The game lodges and camps are mostly located in private concessions where you will not find many other visitors. The best time to visit is during the dry season (June through October) with the 'Green Season' between December and March offering a good wildlife at a lower cost. The annual Flood moves into Botswana's Okavango Delta from April to May, presenting a marvellous sight of water channels, ever changing in size dotted with little islands. Due to the remoteness of the camps and the intricate infrastructure and demands on supplies Botswana is not a cheap destination. The concession fees and the cost of running a remote camp does not come cheap. Botswana is serious with its conservation effort, leading to a low impact - high value solution. You will experience great privacy and guiding. 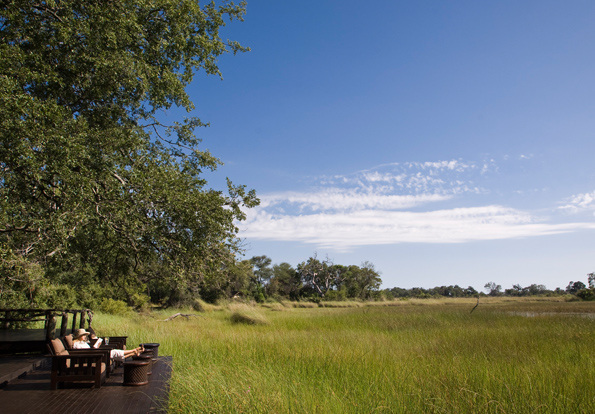 The Okavango Delta is definitely a highlight of your Botswana Safari. Individual Fly-in Safaris: On our Fly-In Safaris you are flown to and between selected safari lodges in light aircraft charter planes. Our Fly-In Safaris assure you of the highest standards of accommodation, meals and personalised service throughout your safari. All aircraft are professionally maintained and flown by highly skilled professional bush pilots. Recommended for the first time visitor to Botswana the Fly-in Safaris offer you a great overview of the main wildlife regions of Botswana. 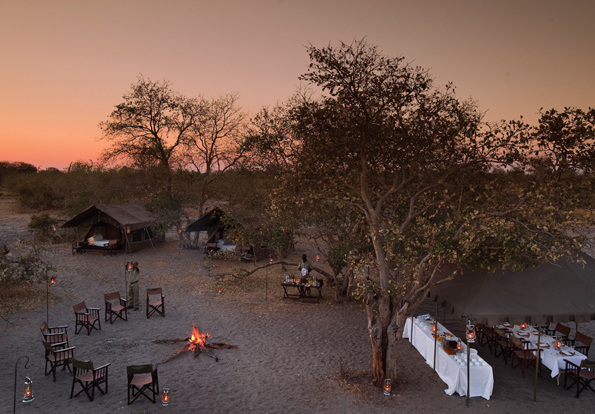 Safari Camps range from basic to luxury with professional guides to take you on all kinds of safari activities. The Fly-in Safaris offer a great opportunity to put together a tailor-made itinerary incorporating all the activities you like, whether it is game-viewing, birding, walking, angling or all of these together. Local guides are there to share their vast knowledge of animal, bird and plant species. You will meet interesting people at the various lodges with opportunities to socialise with like-minded people. An itinerary suggestion would be to stay two to three nights in a water activity camp and three to four nights in a land activity camp. Thereafter we recommend a visit to the Linyanti area for three nights and if time available another three nights in the Kalahari. Scheduled Overland (small group) Safaris: Our Overland Safaris have scheduled departures and travel is predominantly done in small groups with specially modified 4 x 4 safari vehicles conducted by professional safari leaders. Different types of comfort and participation levels are provided ranging from luxury accommodation to convenient camping. Most of the travel is by road, although there may be some flying sectors. Ample time is allowed to take in the places of interest along the route as well as to enjoy the daily destination. Each overland safari has an age restriction and is graded indicating the ruggedness / comfort encountered. African Selection is a product of RCJM Travel & Tours, a Cape Town based travel management company.